Three measures proposed by Arizona legislators this session would cut state revenue by more than $150 million. That means that Arizona’s inflation-adjusted per-pupil K-12 education funding will decrease again – like it has for the past 10 years – and Arizona’s teacher pay will remain the lowest in the nation. House Bill 2528, would increase the deduction on long-term capital gains from the sale of stocks, land or similar investments from 25 percent to 50 percent. Legislative budget analysis indicated the change would reduce revenues by $23 million a year. 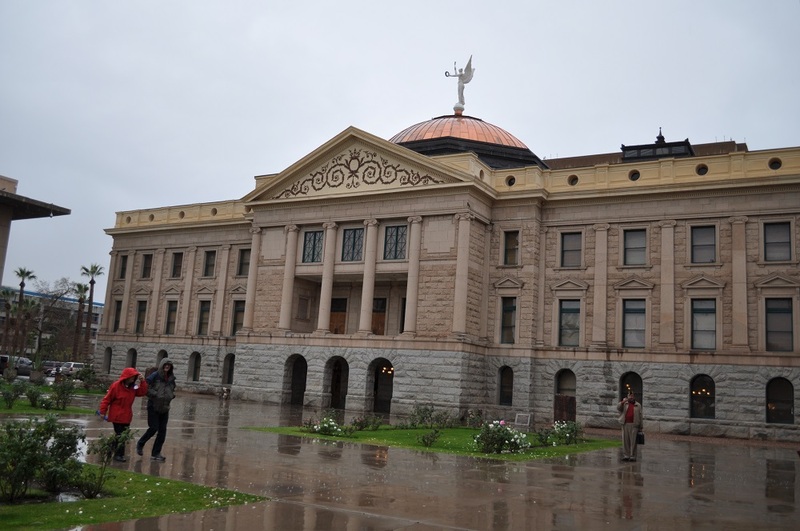 Senate Bill 1392 and House Bill 2749 would ban sales taxes on digital goods like cloud computing software and digital streaming services, which The Arizona League of Cities and Towns estimates will reduce state and local revenues by more than $100 million on an annual basis. David Lujan, director of The Arizona Center for Economic Progress. The Arizona Legislature has cut taxes every year since 1990, and proponents promised the cuts would result in new jobs and economic growth for the state, Lujan said. “Those promises never materialize, and instead tax cuts have cost Arizona’s general fund $4.4 billion in annual revenue when adjusted for inflation – revenue which could have otherwise been invested in public education and other priorities which strengthen our workforce and lead to better economic opportunities for all Arizonans,” Lujan said. About $5.2 million of the $23 million a year in long-term capital gains taxes that House Bill 2528, would benefit people who make $5 million a year or more. HB 2528 was approved by the House in late February and had its second reading in the House on March 1. The bill is sponsored by House Speaker J.D. Mesnard (R – District 17), House Majority Leader Rep. John Allen (R – District 15), Rep. Mark Finchem (R-District 11), Rep. Anthony T. Kern (R – District 20), Rep. David Livingston (R – District 22), Rep. Darin Mitchell (R – District 13), Rep. Paul Mosley (R – District 5), Rep. Kevin Payne (R – District 21), Rep. Ben Toma (R – District 22), and Sen. Sonny Borelli (R – District 5). “HB 2528 is a $23 million capital gains tax cut, which would primarily benefit about 1,500 Arizona millionaires,” Lujan said. What could schools who serve about 1,500 students do with $23 million more a year? “First, an additional $23 million in new revenue is hard to fathom, but for a moment I will dream,” said Dr. Howard Carlson, superintendent of Wickenburg Unified School District in Maricopa County, which serves about 1544 students. “$23 million in new revenue would enable Wickenburg Unified School District to offer the highest teacher salaries in the state, and likely nationwide,” Carlson said. “We have 90 teachers and if we paid them $100,000 each, including benefits, this would only be $11 million of the $23 million in new revenue. “Conversely, if we lost additional revenue, we would have to cut even more staff and eliminate more programs,” Spiller said. Senate Bill 1392 which would have banned sales taxes on digital goods and services was held in committee, but a similar measure, House Bill 2749 was approved by the House in late February and transmitted to the Senate on March 1. HB 2749 is sponsored by Rep. Michelle B. Ugenti-Rita (R – District 23), House Majority Leader Rep. John Allen (R – District 15), Rep. Vince Leach (R – District 11), House Speaker J.D. Mesnard (R – District 17), and House Speaker Pro Tempore Thomas R. Shope (R – District 8). What could school districts do to benefit students if they received the $100 million a year that SB 1392 would cut from state revenues? “$100 million would enable Wickenburg Unified School District to completely renovate all of its schools and transform them into world class facilities,” Carlson said. Education advocates say short-changing public schools must end now, and they have provided 10 ways the Arizona Legislature could increase the state revenue stream instead of reducing it. In addition, AZ Schools Now, a coalition of business, faith and education groups, is demanding a plan to address Arizona’s education funding crisis and petitioning Gov. 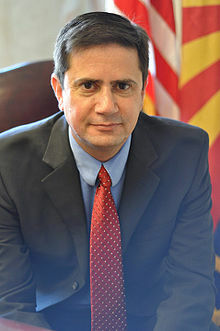 Doug Ducey to convene a working group with the leaders of both parties to find bipartisan solutions. One way to increase state revenue would be to “clean up many of the special interest tax breaks that exist in our tax code and which make no sense,” Lujan said. Spiller said that when he spoke with his colleagues about ways to increase state revenues, three ideas stood out – a small increase in the excise tax – taxes paid when a person purchases a specific item – as well as a potential reduction of loopholes in the Transaction Privilege Tax and the possibility to find ways that all of Arizona’s state lands could be used to generate revenue. 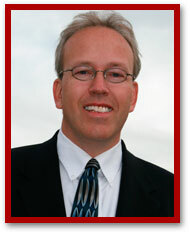 Carlson said there are a number of ways which revenue could be increased without a major impact to Arizona taxpayers. Taking a closer look at corporate tax cuts could really make a difference, Lujan said. “This is an example of how year-after-year tax cuts are reducing Arizona’s tax base and are directly impacting the ability to adequately invest in the very thing that is so critical to our state’s economic prosperity – public education,” Lujan said.